Increasingly, whether by virtue of the parties' prior contractual agreements or according to Court directives at various stages of civil litigation, our clients are called upon to submit a dispute to a binding arbitration, appraisal of the amount of a commercial or homeowner's property loss with deferred review of insurance coverage issues, or to a mediation before some retired judge or other neutral mediator for negotiated case resolution. 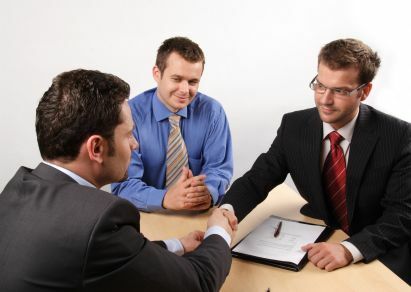 We routinely provide legal representation to insurance companies, corporations or private citizens as either the petitioner or respondent in such alternate dispute resolution forums wherever they may be convened both in and outside of Florida and at whatever level of resources needed to present the position of the client. We have handled hundreds of such proceedings throughout Florida and in many other jurisdictions around the country as well. We have successfully resolved at considerable savings to our clients such claims as sinkholes, water damage, structural collapse and construction defects, mold damages, fire losses, hurricanes, roof failures, multi-vehicle bodily injury accidents, dog bites, occupational injuries and death claims, just to name a few. We have also aggressively prosecuted our clients' position in computer software technology and other intellectual property or licensing disputes, professional athlete grievances, construction defects, and indemnification claims in arbitrations convened under the auspices of the American Arbitration Association, Construction Arbitration Boards, Yachting and Marine Salvage Arbitration Panels, Insurance Industry Arbitrations, National Football League, Major League Baseball and National Basketball Association Players' Associations, as well as other regional and local private arbitration groups. Mr. Schwartz has argued many of the appraisal and arbitration issues before the appellate Courts throughout Florida. Mr. Hruska is himself a Certified Civil Circuit and County Mediator, available to act as a neutral mediator to assist other attorneys and their clients throughout Florida in trying to resolve disputes without the need for a costly trial.